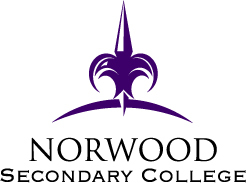 For over 50 years, Norwood Secondary College has been proud to serve the needs of the local community and beyond. During this time the College has developed an outstanding reputation as a provider of educational excellence and a broad range of programs. We are also known for the quality of the young women and men who graduate from our school. We are proud of all our students. Our goal is to foster the belief that they should strive to do the best in all endeavours, to understand the benefits involved in broader school programs, to show compassion for others and to value making a positive contribution in society. We are committed to building on our rich tradition with innovative programs and the creation of a dynamic learning environment which fosters individuals’ abilities.